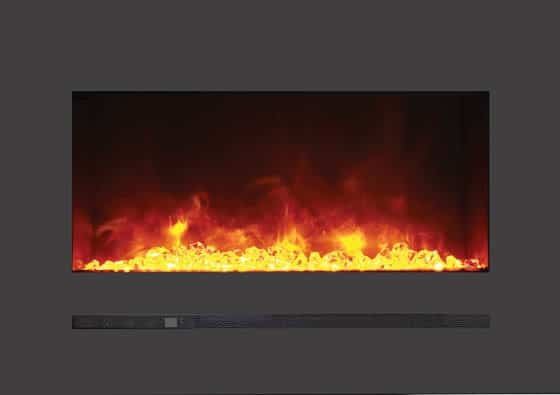 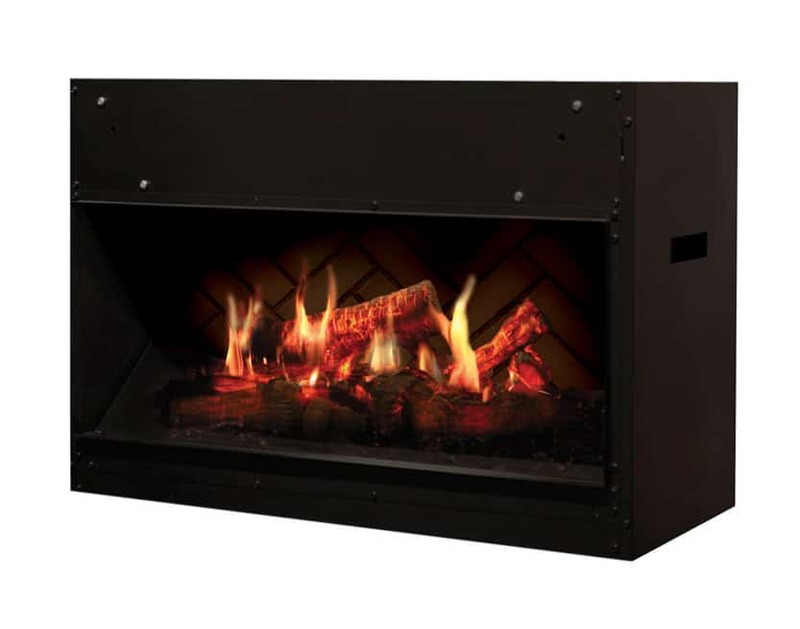 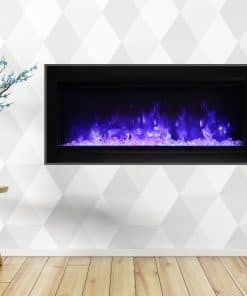 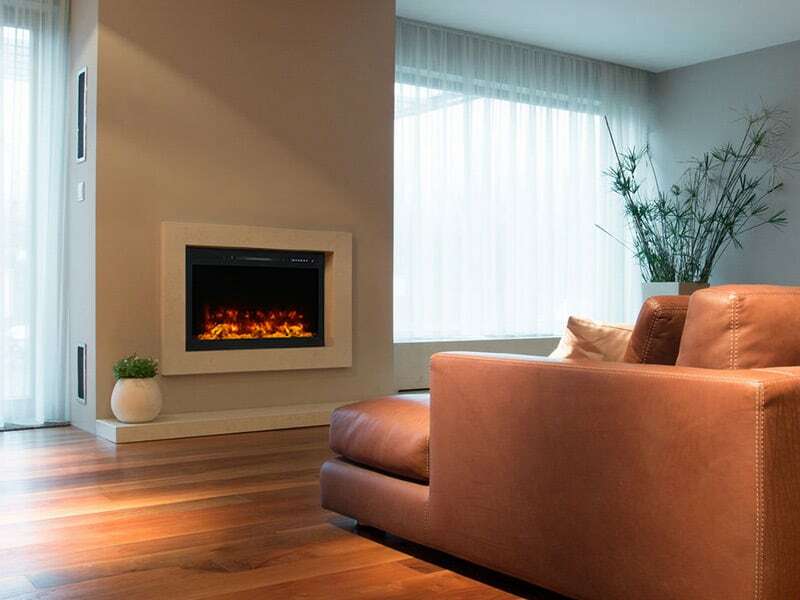 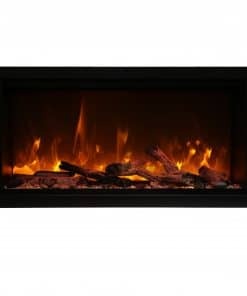 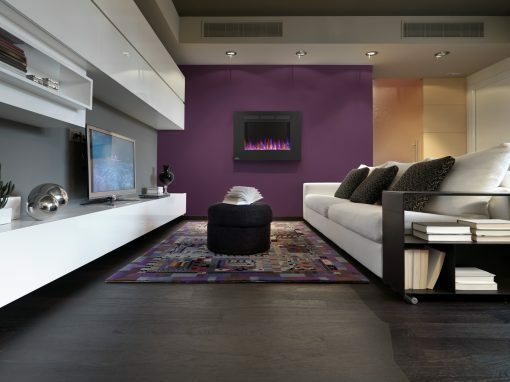 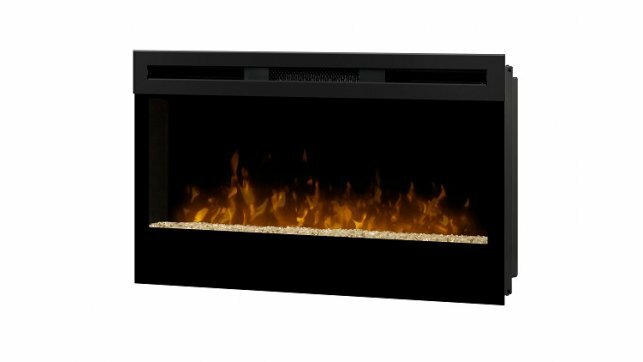 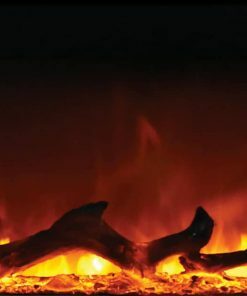 The Napoleon Allure 32″ Electric Fireplace can heat a room up to 400 sq. 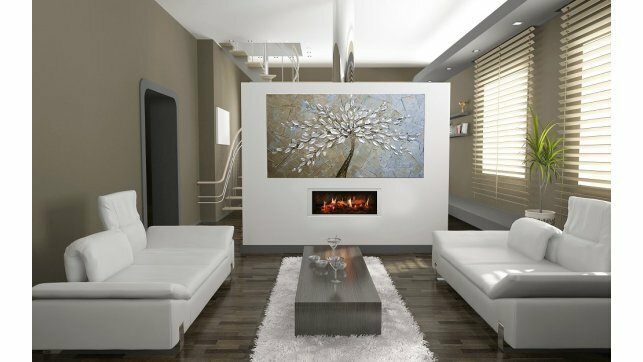 ft. and is as simple to install as hanging a piece of art on your wall. 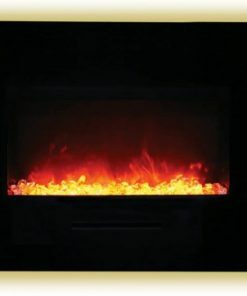 No specialists or gas fitters needed. 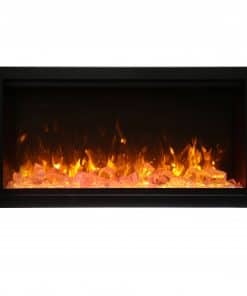 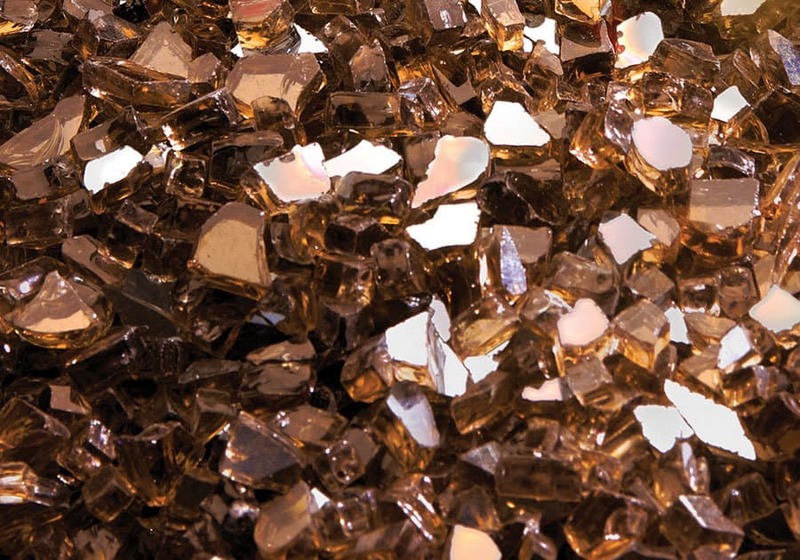 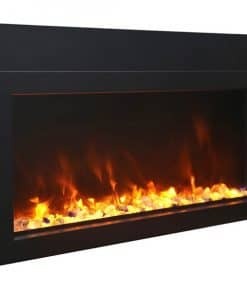 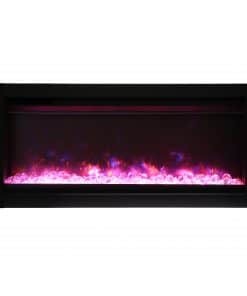 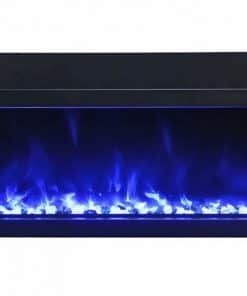 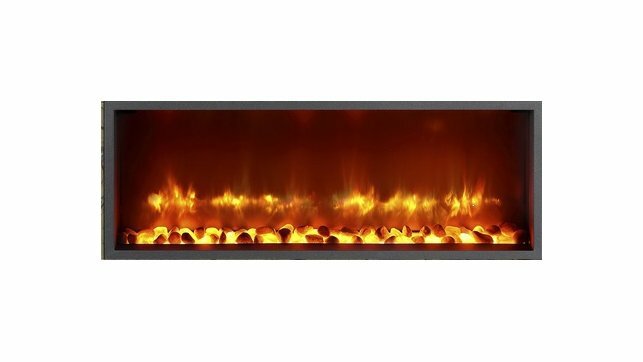 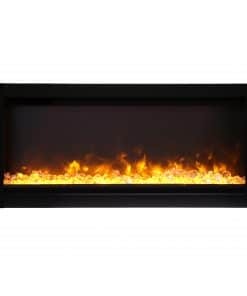 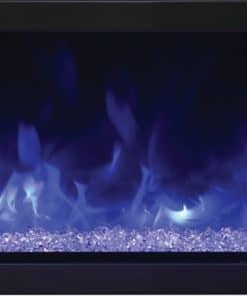 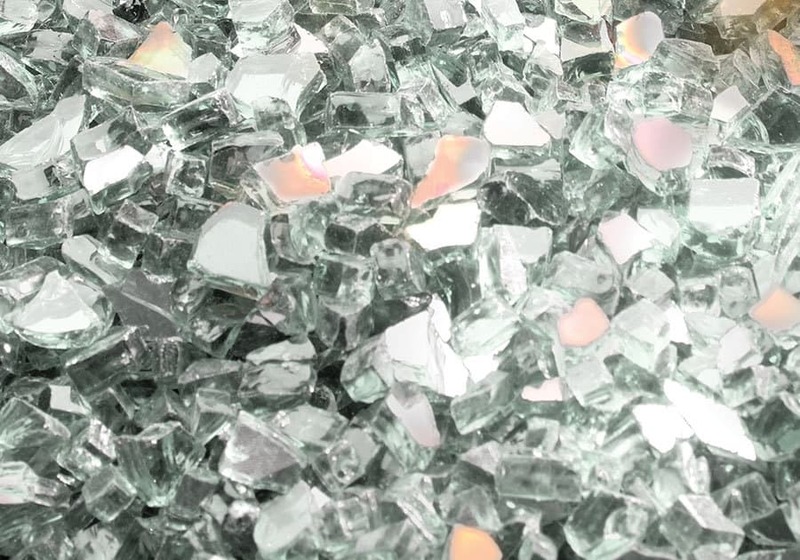 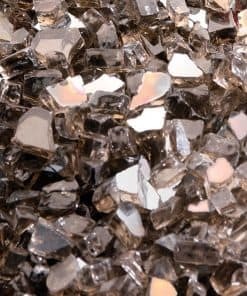 Three flame options on the Napoleon Allure 32″ allow you to have traditional orange flames, cool blue flames, or a beautiful combination of the two that sparkle with the glittering glass ember bed. 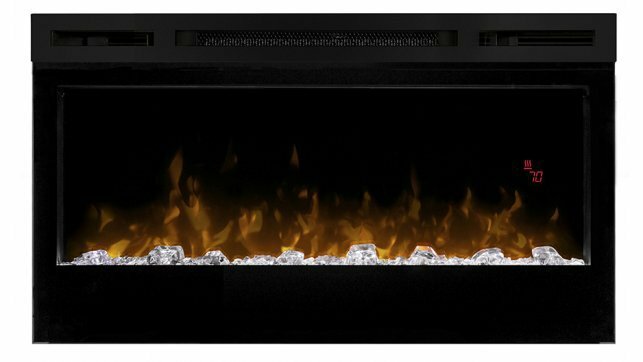 The ultra slim 5″ depth on the Napoleon Allure 32-inch means the fireplace doesn’t intrude into your room. 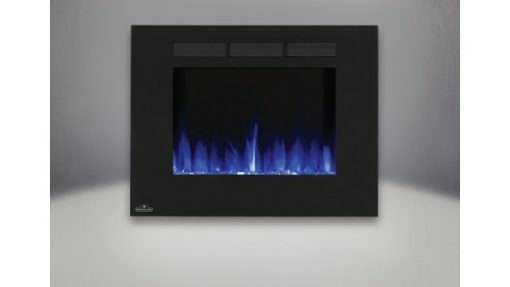 The included remote gives you complete control of the Napoleon Allure 32-inch at the touch of a button. 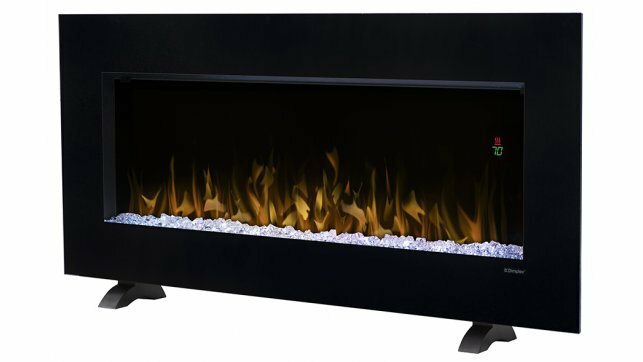 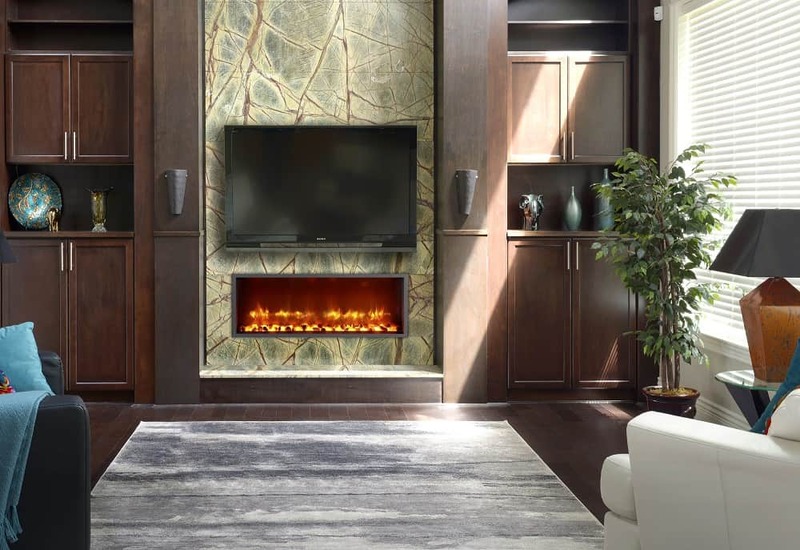 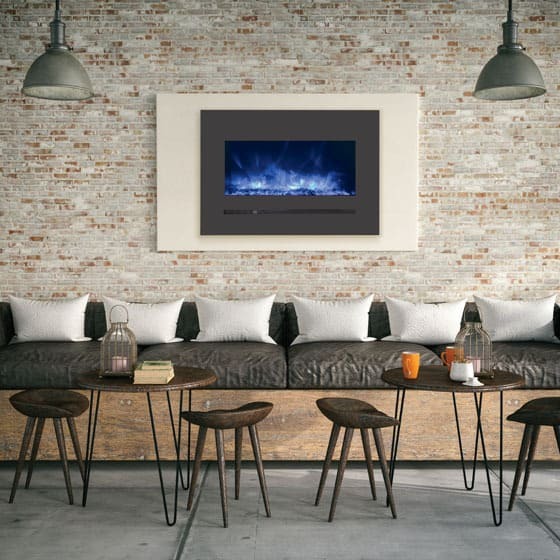 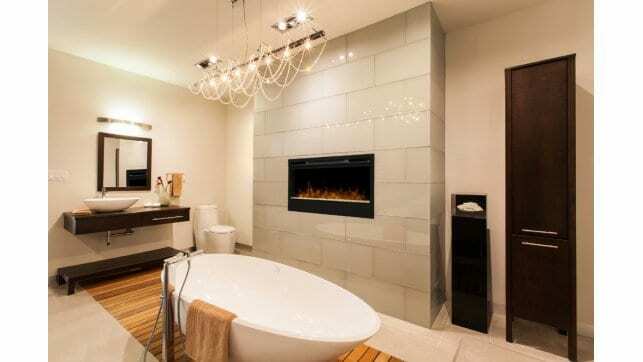 The Napoleon Allure 32″ Electric Fireplace is functional art for every space.